This is such a fun idea to take a boring white sweatshirt into something fun and bright. Over at P.S. 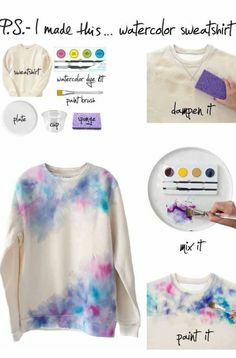 I Made This, she will walk you through step by step how she made her sweatshirt and show you have this watercolor is all the trend!